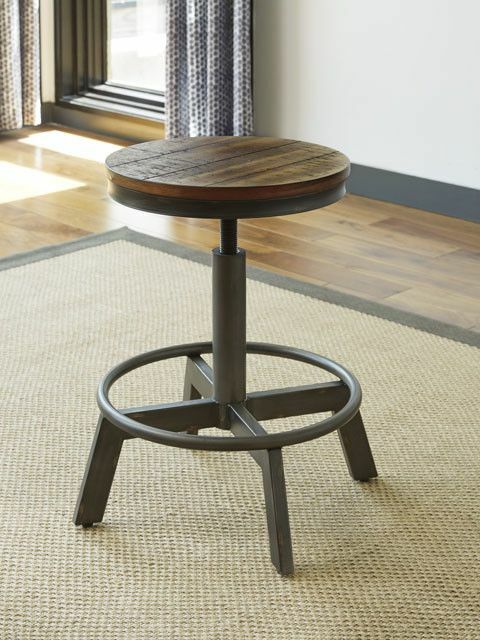 Item Description: Make your home the hub for cool vibes with the Torjin stool. 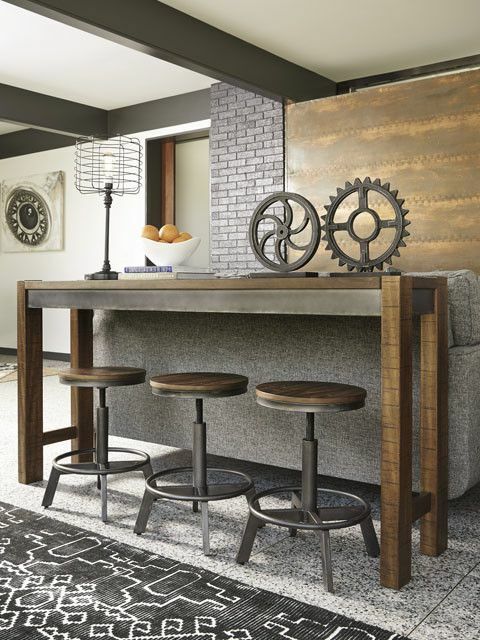 Two-tone finish scheme of distressed warm brown and aged gunmetal is full of urban industrial swagger. Adjustable height is accommodating for you and your guests. 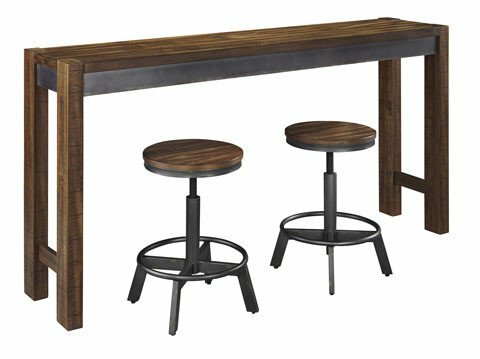 Add it behind your sofa with the Torjin long counter table for a dapper eating or working space. 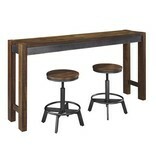 Series Features: Table and stool seat are constructed with Acacia veneer over engineered wood and mixed solid wood. Urban contemporary design features a two-tone finish scheme. 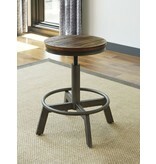 Table top and stool seat are finished in a distressed light rum colored finish. 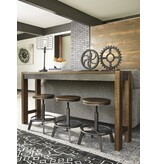 Table aprons are faux finished in an aged gunmetal look, and color match the adjustable height metal stool frame.